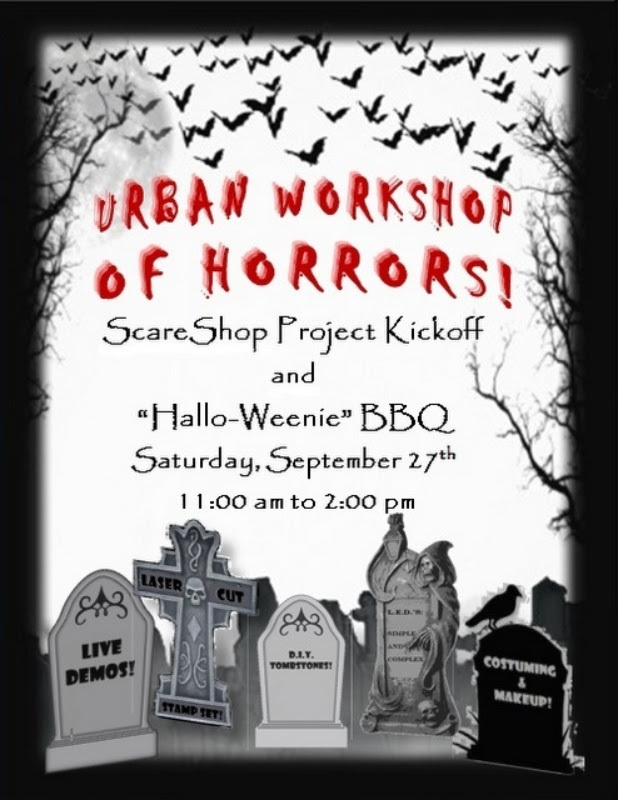 Join our fellow OCWorx friends at Urban Workshop for this fun Halloween inspired demonstration of some upcoming Halloween inspired projects, and enjoy some great BBQ as well. This is an Urban Workshop event, please do NOT try to confirm through the Inventors Forum. You MUST confirm through their link. Your entire Family is invited, so come and have a little pre-holiday fun on September 27th at Urban Workshop.